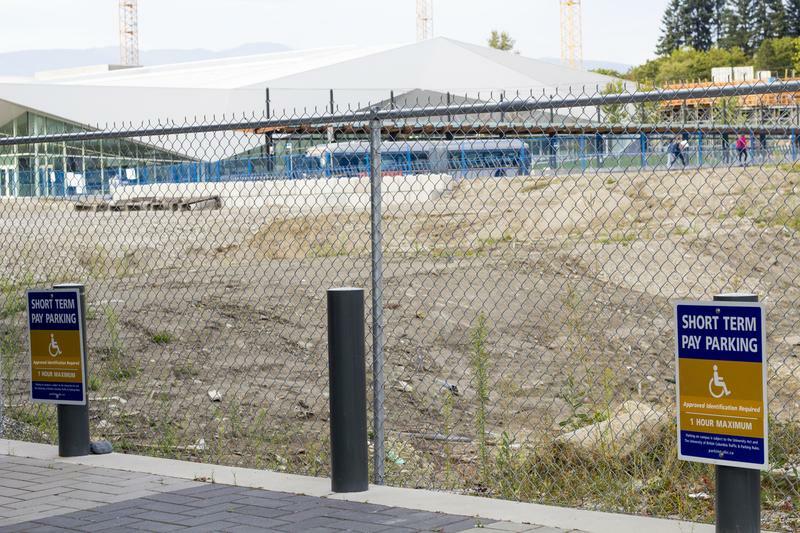 A new parking lot could be coming to campus, but it might not make commuting for UBC students, staff and faculty more convenient. The MacInnes Field Parkade proposal would be an approximately 6,000 square metre, one-level underground parking facility for 216 vehicles with access from University Boulevard. Located underneath a new field that will be built between War Memorial gym and the Nest, the lot would be made up of parking spots for short term visitors, as well as electric vehicle charging stations and new spaces for the cars used by Safewalk. Following a public open house on September 6, the project is now in the middle of its consultation period. The comments from both in-person and online stakeholder engagement will be taken in this upcoming week before being brought to the Board of Governors, according to White. AMS President Alan Ehrenholz said that while the AMS supported the parkade “in principle,” they did have concerns. The first is about pedestrian safety. White said that UBC is working to make sure that the entry ramp would be “designed in a way that doesn’t present a conflict for pedestrians in that area” and that it would be integrated well with the design of the NEST. Ehrenholz also expressed concern that there would be three exits on the east side of the parkade, while there would only be one on the west side — the side that would be closer to the NEST and the Robert H. Lee Alumni Centre. Due to this feedback from the AMS, the plan has “already been modified” to have an additional entrance on the west side, according to White. Beyond these areas of consideration, Ehrenholz said his larger issue was about how their concerns have been addressed. “We’ve had consultation meetings and we’ve made our concerns very clear to the university … however, we are feeling that maybe the response to those concerns hasn’t been what we would have wanted,” he said. In response, White expressed willingness to co-operate and work on the concern. Lastly, Ehrenholz was concerned by the short gap between the proposal’s public consultation and the presentation to the Board. White noted that the majority of the response has been positive, and that all that has come up so far are similar to those brought up above. “So this reaffirms that those are areas that need to be addressed,” he said. The online comment period is open up until September 13.